4ideas is a digitally driven brand agency, active on the Romanian market since 2009. Core competencies of the company are gathered into 4 divisions: Creative Concepts and Brand Building / Design, Web & Mobile Development and Engineering / Community Management, Social Media and Content Strategy / Online Advertising and Media Campaigns. 4ideas is driven by the vision of building digital super stories in partnership with super brands. We develop customized solutions and services for WEB & MOBILE technologies.Our Motive is to grow together with our customers. Therefore, implementing the client's business idea and providing ongoing support after completion promote us. We aim to strive harder every day to come with something unique for them. ActiveEbiz is a eCommerce development company specializing in Magento. We strive to always provide the best possible solution that fit within the clients budget. 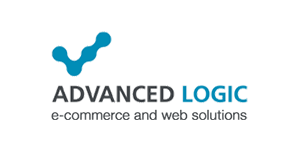 Advanced Logic is a Magento Solution Partner and a Magento Certified Developer Company. The experience and the know-how gained on Magento allow Advanced Logic to implement multi-channel projects of any complexity with the Platform. We are a team of experienced developers and designers, ready to help you building B2B/B2C e-commerce based on Magento 2, Magento 1, Pimcore, ReactJS and more. We provide both backend and frontend Magento development. We are based in Poland, Bielsko-Biała. Alinga eCommerce is a full service eCommerce agency specialising in Magento. Our talented and experienced team comprises of Designers, a Magento Certified Solution Specialist and Certified Developers. Our aim is to deliver innovative, creative and profitable websites to Brisbane, Melbourne, Sydney and Australian Merchants. We don’t just focus on creating innovative websites; we also have expertise in the areas of branding and online marketing strategies. Our services include Magento web design, Custom development, Marketplace promotion, ERP & CRM Integration, Magento Support and Omnichannel marketing services. Alinga can provide you with quality Magento web solutions at affordable prices. Visit us at ecommerce web design and get a free quote for your Magento project. 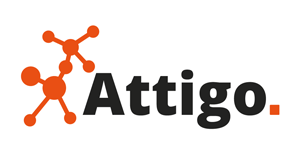 Attigo is a leading Magento Solution partner in Sweden with customers in all Nordic countries. We specialize in high-end optimized Magento solution where sales performance and converting visitors to buyers are key for our customers. We have extensive experience in implementing and optimizing Mirasvit search tools in several successful projects. Aurora supports companies in creating, developing and optimizing online shops. We implement eCommerce solutions, integrate systems, design and offer hosting. We focus on quality, reliability and a culture of responsibility at work. At Balance Internet, we partner with businesses to develop and drive successful outcomes from high performing digital commerce platforms. We’re acknowledged as Australia’s most experienced and innovative Magento developer. We focus on providing end-to-end eCommerce strategies and solutions to optimise the performance, sales and efficiency of your online store(s). Whether you’re B2B, B2C, omni-channel or a pure-play online retailer, we’re here to help with a full suite of eCommerce services including UX design, development and integration of Magento with your existing business systems. We also offer training, digital strategy and technical support to ensure your site is optimised for performance, conversion and sales. Bemeir is a Magento solutions provider based in New York City. We specialize in B2C and B2B eCommerce, within a wide range of verticals and have experience with both small and large projects. We offer development, design, and consulting as part of our full range of services. We build long-lasting relationships through dedication to client success, with the mission of succeeding mutually, not exclusively. We are a digital marketing agency based in Central London. We were founded in 2009 and since then we have grown to work with over 200 clients providing a range of digital marketing services. We design, develop, support and market Magento websites for our clients. Our large, UK based team of UX, UI, design, development, project management and marketing experts work to deliver exciting and innovative projects for our clients. Blackridge Software is an experienced team of professionals in web development. We develop functionality of different complexity for Magento and Wordpress. We provide a wide range of services, including design, customization, migration services and online store promotion. Briteskies provides a full continuum of eCommerce services. With 15 years experience in the IT consulting business our focus is on partnering with you to create solutions to help you reach your business goals. Whether your organization is looking to customize your online shopping cart, optimize your site for search, migrate to Enterprise, find support to fix your broken site, or even develop a plan to integrate your B2B or B2C eCommerce website with an ERP system like JDE Edwards; our team is ready to assist. We partner with our clients to develop a long term strategy for success. Broadland Digital are a UK based agency specialising in Magento ecommerce website design and development as well as bespoke system solutions. Our team of developers can work with you to create the perfect ecommerce solution or system for your business. We are a web agency with highly innovative Digital Impact, which develops and operates e-commerce platforms developed in Magento, web marketing strategies in On the Most Advanced SEO to all SEM Other Activities 360 °, all strongly oriented to incalanare the customer towards a path of digital Internationalization. Armah is profes InOLTRE of Development of Part More web Classical, interface and graphic design. CGI is a Canadian global information technology (IT) consulting, systems integration,outsourcing, and solutions company headquartered in Montreal, Quebec. We offer some of the best web development solutions to our clients. We develop websites, web applications and custom themes. We also specialized in Magento E-Commerce Development. Codilar is a Magento Development Company based in Bangalore, India. We comprise of certified Magento developers and solution experts having vast experience in carving perfect eCommerce solutions for businesses. Our services include Magento Shopping Cart Development, Magento Customization, Extension Development, Performance Optimization, Cart Migration, ERP Integration, Magento Mobile Apps, On-going Support and much more. Write to us at hello@codilar.com to get a free quote for your Magento project. Coding Basics is a Magento blog created by developers, for developers. Since 2014 we provide people with Magento tutorials, Extensions and themes and much more. Codingbasics.net also offers custom Magento solutions like Development, Design and Consulting. Commer Group Technology Services Inc.
Commer is a Canadian business applications developer and integrator. Founded in the late 90s, Commer has a long and successful track record of developing ecommerce solutions for its clients. Commer currently offers PoS-integrated Magento shops as a SAAS offering, using its custom middleware software, in addition to stand-alone Magento shops, and enterprise-level business solutions delivered in closed network environments. Crealevant och dess medarbetare har mer än 20 års erfarenhet av att bygga interaktiv kommunikation. Sedan 1999 har vi fokuserat på e-handel och arbetat med de största varumärken i Sverige. Vi är noggranna och jobbar tätt ihop med våra kunder för bästa resultat. Vi vill inte bli störst i världen, vårt team är litet och utan säljare, men brinner för teknik, design och kundnöjdhet. Det är bara att kontakta oss och/eller komma på en kopp kaffe och prata e-handel. CueBlocks is an eCommerce Digital Agency offering conversion and user-centric eCommerce services since 2005. We create elegant designs, powered by crisp and clean code. Magento is our eCommerce platform of choice and we have an experienced team of certified Magento & Magento 2 developers. With offices in India and the Czech Republic, our current team size of around 50 includes experts in web development, interactive design, and digital marketing. Description: DotcomWeavers is a full-service web development company that provides optimized web solutions for online businesses. Whether integrating applications for inventory control, content management, fulfillment and customer care, or helping clients with the complex task of replatforming their shopping cart, we prepare e-commerce businesses for the continuing evolution of the digital channel.  DotcomWeavers use best-of-breed platforms, combined with our own time-tested strategies, to empower our clients and help them attract, engage and convert digitally-connected customers across all retail touch points. Our technical expertise and dedication to customer satisfaction has earned us the loyalty and trust of our clients, fostering strong partnerships for over 10 years. Boutique Magento Development Agency in Australia and New Zealand working with leading brands in their respective niche. The Complete End-to-End eCommerce Solution For Great Brands eComplete is South Africa’s leading team of customer acquisition experts who run and scale eCommerce businesses on a completely outsourced basis. Our end-to-end solution let’s you go direct-to-consumer faster, cheaper and without the risk. We build a robust webstore for you, automatically sync all your products with the right images, prices and inventory to the site, drive traffic through best-practice and lead-gen digital marketing strategies as well as manage all the orders, customer service, courier delivery and logistics. Elsner is a global IT service provider with 10+yrs of experience in website development offering top-notch robust storefront models for our clients in Magento 1.9 and Magento 2.0 .Our experienced Magento certified and Magento certified plus developers have high level of expertise offering custom Magento solution as per client's business needs. We are a complete design and development firm for Magento solutions and believe in delivering excellence ensuring success to our clients. Contact us today at sales@elsner.com, or call us at +1 (607) 524-4040 for a brand new ecommerce store or a ecommerce web design upgrade. eTailThis.com provides an end to end eCommerce solution built on the foundation of Magento. We’ve created a single-source eCommerce system which integrates merchant feeds from every major supplier UK in the IT and office supplies reseller sectors. This means our integrated eCommerce Solution and EDI gateway can easily offer products from multiple distributors, process orders automatically to give your customers the best deals available online. Fisha ltd is a leading e-commerce company with more than 25 experts which specializing in B2B & B2C digital products. Fisha offers solutions which cover complex ecommerce systems with a wide range of ecommerce products, targeted at retail, fashion, travel and financial sectors focusing on driving sales and uncompromising quality. Fisha is official Magento solution partner and official OroCommerce / OroCRM partner. Fisha specialized in implement product companies solution by integrating the companies product on the different platform such as Shopify, Woocommerce, Bigcommerce, Prestashop and Drupal Commerce. All of our solutions are customized, responsive and Omnichannel ready. Founded in Tel Aviv, 2012. Fisheye Media are a leading Magento Professional Solutions Partner, focused exclusively on delivering premium Magento multi channel sites since 2009. With a dedicated and highly skilled team of 22 ecommerce experts ranging from design and UX, Magento certified development and support, through to marketing and strategy, we are confident in our ability to provide an essential role in shaping the long-term success of every business we work with. Our R&D team are constantly researching new solutions, how they interact with Magento, and their overall suitability for our clients. As a Magento partner we have strong relationships with numerous solutions providers, allowing us to pass on benefits to our clients through enhanced service and support. Galilee, headquartered in Bordeaux, France, with offices in Paris and Toulouse was established in 1982. Galilee specialises in the design and integration of content production & information management workflows for omni-channel marketing communications. Galilee‘s benchmark of success is working solutions, achieved through a strategy of integration methodology thats supports a go-forward, collaborative approach. The strategy of integration process determines the key integration points into the client’s Marketing Operations, including a hybrid integration approach to work on-premise at the client’s location or integrating into Galilee’s Cloud infrastructure, the Marketing Production Platform. At Gene, we can help you quickly adapt and change to survive in today's world of ecommerce. As a specialist Magento agency we'll find new ways to grow your online business through hands-on consultancy backed up with the technical know-how to get things done. Get.Noticed is the online specialist in Magento, labour market and marketing. In the south of the Netherlands twenty experienced employees work on new and existing webshops every day. For both Magento versions we employ multiple certified developers. At www.goivvy.com we live and breathe Magento. We are available to help you with speeding up your magento store, magento upgrade and general magento development. Imagination Media is a versatile and experienced e-commerce solutions provider based in South Florida.We specialize in customized Magento omni-channel solutions providing integration to various Point of Sale software, ERP software, CRM software, M2E Pro and much more. This allows our customers to have a true omni channel presence beginning from the internal logistics to their online channel presence. Write to us at info@imaginemage.com, or call us at 1-800-496-9311 to receive a free 1 hour consultation on your project. Indie Group offers full service e-commerce solutions. We help you plan, build and boost your online business with our specialists in online strategy, web technology and internet marketing. Keylime Technologies specialize in providing end-to-end e-business solutions with a nearshore delivery model. We have an excellent, stable and experienced team of professionals with varied backgrounds and qualifications. We offers comprehensive nearshore development solutions across a wide range of platforms and technologies. LAB51 is an e-commerce agency based in The Netherlands. We deliver fast and solid Magento 2 solutions with a lot of marketing, customer experience and performance functionalities. We’re first-time users of several Mirasvit extensions and give a lot of feedback to get the most out of the platform. We are a user experience driven web programming agency. Our team is using the latest tools that help us produce high quality and in time delivery. Our vision is to have an impact on clients not just through quality, but through trust and dedication. By our passion we serve our clients in an outstanding manner. 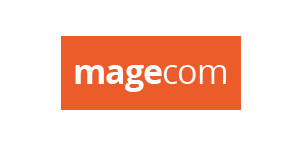 Magecom is a professional service company specialized in Magento ecommerce web design and development, including custom design, advanced user and admin functionality, turnkey Magento solutions, Magento themes and extensions development. Magenable is an eCommerce consultancy based in Melbourne, Australia. We focus on business goals and needs of our clients and specialise in Magento eCommerce as a platform. MageXo is Magento development and consultancy company based in Czech Republic. We are highly focused on Magento area only. Our team consists of highly trained and skilled certified Magento experts. We hold all types of Magento certifications. Hire us and let's make big things with Magento. Market Academy, #1 e-commerce agency specialized Magento, guides you through your e-commerce website development or redesign. We adjust Magento to your business so that you can focus on your main professional goal: make a living! MDL Online is Magento Support and Development company in The Netherlands with international customers and Magento certified expertise. We are specialized in the support of existing Magento stores and help our clients to get a better, stable platform to increase their conversion and take them to a higher level with more sales. Medeka is a Dutch team of motivated Magento webshop developers. We are committed to various e-commerce projects in Holland and abroad. With our extensive experience and knowledge of Magento, we make quality Magento webshops for competitive prices. We are an experienced Magento Development Company based in the UK providing Magento eCommerce development at an affordable price. We’ve been working with Magento development since its release in 2008 and we’ve now built over 156 bespoke Magento websites. MGT-COMMERCE is a market leader in the provision of Magento services to its many corporate and institutional clients worldwide. MGT-COMMERCE understands how to create AWS solutions that deliver highly efficient performance and scale, with a proven ability to design and manage complex web environments that deliver predictable web outcomes for businesses operating online. We take the complexities of managing your Magento hosting off your plate so you can get back to running your business. MobilityeCommerce helps eCommerce Orgainizations build , manage and integrate their Magento Stores with Netsuite , SAP Business One and custom solutions. MobilityeCommerce is also integrated with Magento for multichannel selling across Amazon, eBay,Newegg,Sears,Rakuten,Jet etc to name a few. So If you sell on the Magento platform or want to have your own ecommerce store and would like increase your sales MobilityeCommerce can help you achieve your goals. We provide eCommerce development,customization,integration and consulting. With more than a decade of experience helping clients attain a leadership position in their respective industries, Place1SEO has proven that we can promote your organization across markets, build enduring relationships with customers and business partners, and elevate your profile so that your brand becomes synonymous with expertise and authority. Neocreative is a digital agency based in Queensland, Australia. We are dedicated to innovation and advancement within the ecommerce and online realm. Neocreative has grown to become an expert not only in Magento ecommerce but also in design, user interface, user experience and custom integrations. eCommerce Solutions for Middle East. Newtown Web is an austrian web agency specialising in e-commerce with Magento. Driven by a team of experienced web developers, newtown has emerged to an expert for B2B and B2C solutions in extend with great knowledge of interfaces between Magento and systems like SAP, Microsoft NAV, Mesonic and many more. 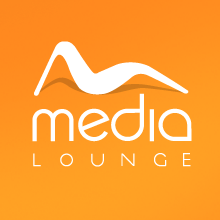 We are a strongly innovative and deeply human digital agency. Our multidisciplinary team of 50 passionates will ensure that you meet your strategy, design and development goals, supporting you in analyzing and optimizing the projects we collaborate on. We use the latest tools and technology to create unique experiences that help you expand your brand and grow your business. Over the years, we have developed a methodology based on our clients and partners' business reality. It is built on a foundation of values which we hold dear: teamwork, transparency, a respect for experience, and the joy to work. More recently, we reaffirmed our leadership position as Quebec's digital agency by acquiring major accounts, such as Microplay, Louis Garneau, Tourisme Québec, AbbVie, Carnaval de Québec, and the Quebec Breast Cancer Foundation. With now over 20 Magento 1 and 2 e-commerce websites and a recent partnership with OSF Global Commerce Alliance, we are the perfect partner to help you thrive in your e-commerce ambitions. Let's have a coffee ? Optiweb is a Slovenian, Europe based Magento development company with a Magento Certified Solution Specialist. With a wide range of designers, developers, marketing, analytic and SEO specialists we offer our clients a complete service for their e-commerce. We are especially proud of our custom Magento solutions for our Clients that increase their revenue and boost their sales. Orot Technologies specialises in development of Magento based e-commerce solutions, such as designing and building online stores and providing technical support for them as well as converting existing online stores to Magento-based. In addition, we are experts in RTL (right to left) conversions for Arabic and Hebrew based websites. We are dedicated to helping national business to open the international market, including settling in oversea online e-commerce platforms, building up their international brand and selling channels, and establishing their own official websites. Perspective Studio is a close-knit team of the best specialists of Magento. We care about each project as a key one. Our competitive advantages are speed and flexibility. We are a bunch of young, easy going guys who are targeted at finding muttual understanding with the clients. PRO CODER DEV SRL is an Web Development company specialized in Magento e-commerce. We design, develop and optimize web shops and offer after sales support to our customers. Our team is formed of professionals only, who has over 8 years experience in working with customers abroad. Our clients benefit of our knowledge and expertise in our field and we are happy to deliver personalized and highly efficient solutions. Promodo is an international online marketing team specializing in promotion of ecommerce projects. The company is a certified Google Agency for AdWords and Analytics with a number of PPC and SEO awards. Our services include search engine optimization, PPC management, social media marketing, conversion rates optimization, usability analysis. We have worked with more than 350 clients worldwide helping them solve various online marketing issues they faced. PulsarFour is a Digital Commerce Agency. We design, develop and support enterprise-level ecommerce stores for online retailers in the US and in Europe. We also provide digital marketing and technology consulting services for performance and conversion optimization of online shops. We work with a number of flagship ecommerce platforms, focusing primarily on Magento custom development. Our projects are highly complex, we develop custom product configurators and roll out various back-end system integrations for both B2B and B2C verticals. PureBlue are a UK based Silver Magento Partner specialising ecommerce website design and development. Their team of designers and Magento certified frontend and backend developers are all located in their central London office and will work with you to ensure the delivery of your perfect online store. Raw Digital is New York City's premier Magento agency, specializing in custom solutions for clients, including product and inventory management. A Magento Gold Partner and awarded 2016 Digital Commerce Solution Partner of the Year for EMEA at Magneto Live, Redbox Digital is an internationally trusted ecommerce agency with a reputation for providing end to end digital and omnichannel commerce solutions for major brands across the globe, in both the B2C and B2B sectors. Redbox's team of Magneto 1 and 2 certified developers, dedicated project managers and a 24hr support service, offer brands a trusted hands-on and collaborative approach to delivering bespoke solutions. In addition to Redbox's success over the years, the agency is also one of the first to successfully implement Magento 2.0 Enterprise Edition and the recently launched Magento Enterprise Cloud Edition for renowned retailers. With offices in London, Dubai, Mauritius, Sydney and Auckland, Redbox delivers global expertise with local thinking. Find out more about Redbox at redboxdigital.com. Full service digital agency. Create digital Impact. RetailOn is a ​​Magento digital Agency with experience of implementing 100+ Magento projects like www.lucrin.com. We are a full service digital eCommerce agency specializ​edin eCommerce Strategy, Consulting, UX/design, development, extension customization, ongoing support and Mobile commerce. Our highly dedicated team strategically guides retailers by determining their business goals and aligning it with their eCommerce investment. London based Magento Developer & Ecommerce Expert specialising in all things Magento and Shopify. SaM Ecommerce specializes in IT development services, such as Magento/Web development, consulting, design, integration, marketing, and support. Our experienced staff is able to provide PHP, Magento, WordPress, Typo3, and Drupal development services of the highest quality. SaM Ecommerce certified Magento team can skillfully build a custom web shop for your business from scratch as well as simply take on certain tasks in the development process. With offices in Atlanta Georgia, Toronto Canada and Manila Philippines Sci5 has over 62 full time programmers focusing on Magento and Joomla websites. By leveraging American Project Managers and on-site Managers in the Philippines we can reduce costs and pass these savings along to our customers. Get the best of both worlds, perfect english speaking communications, low cost development, exhaustive quality control procedures and excellent project management. Magento & eCommerce experts. 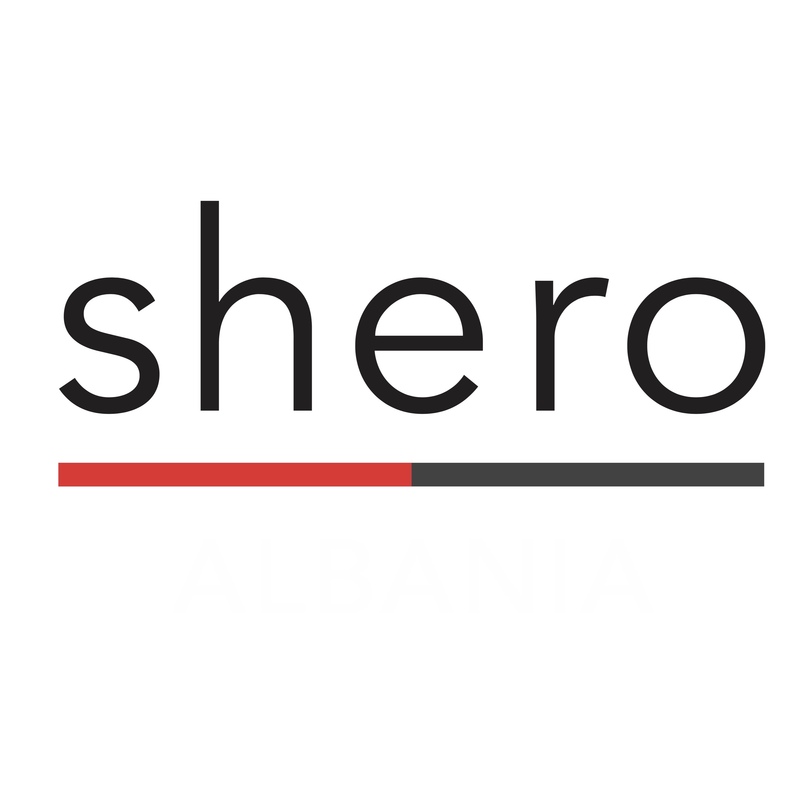 Shero is a Hudson Valley, NY Magento eCommerce development agency. Let us help your business find the most successful solution to online selling and presentation. Sitesquad provides Magento® eCommerce merchants with professional support on a day-to-day basis. Since 2009, we've been on the front-lines of Magento store operations helping clients fix, maintain and improve their eCommerce shops. Sitesquad is based in Milwaukee, Wisconsin and Pittsburgh, Pennsylvania. Skrey is a Portuguese digital retail software-house trusted by some leading brands. We develop amazing digital experiences with Magento or with our state of the art Mobile Applications. SmartSites is a digital marketing company specializing in website design & development, search engine optimization (SEO), and pay per click marketing (PPC). SmartSites has created and promoted dozens of Magento 1 and Magento 2 ecommerce websites. We are the driving force behind successful ecommerce websites across the globe. Contact us today to see what SmartSites can do for you. Your Magento store is the heart of your operations. – At Solvature, we take a disciplined approach to a sustainable, agile development workflow; collaborating with you to ensure maximum site performance and helping you sell more. We’re more than just technicians, we’re businesspeople. That means we anticipate outcomes, communicate with you about our work, and ensure that everything we do supports your ability to conduct secure transactions. SSA Group is a software development company created in 2007 in Ukraine. As a part of SSA Group, Mage-Devs delivers cutting-edge Magento solutions to online stores, e-commerce, and digital agencies around the world. We have the expert resources and global coverage for producing exceptional products and services to help our clients simplify, strengthen, and transform their business processes. Our services include Magento extension development, migration from Magento 1 to Magento 2, Magento server administration, support and optimization. StewArt Media have been learning, refining and implementing digital marketing solutions since 1988 and is led by CEO and industry pioneer Jim Stewart. We are one of Australia’s most respected digital marketing companies and provide Digital Marketing services including; Search Engine Optimisation (SEO), Paid Advertising, Conversion and Content Optimisation. We understand the complexities of specialised industries and have partnered with corporations across all industries including oil, legal and medical. Our clients have included some of the biggest companies in the world as well as some small businesses. It’s all about the same thing; driving business and maximising returns. Our practices and solutions are highly ethical with a focus of providing outstanding service to drive long term partnerships and results. With years of SEO experience, unparralled technical expertise and a refreshingly creative approach to online marketing, our team at StewArt Media has helped hundreds of businesses increase their online presence. Founded in 2008, studio Raz specializes in crafting your business vision into a successful and refined e-commerce Magento stores. Our process includes strategy and concept with innovation while creating professional business solutions. We are a full-service agency, offering development, design, management and support with the latest technology trends. We lead you from an idea to sales while providing full support throughout the process. Our team of Magento Certified developers as well as skilled designers are experts for executing creative web solutions. We are passionate about design form and function and devoted to conquering new heights of excellence and quality. Let us interpret your vision and goals into an exciting e-commerce user experience that attracts new and potential clients, elevates your brand and reach new and better financial achievements. We love to take part of your business journey and proud to help you create your e-commerce identity, grow your business and turn your dreams into e-commerce success. Custom Magento development partner with the full stack of proprietary e-commerce solutions and an enterprise level of project management maturity. Our portfolio consists of top performing, highly converting, successful international Magento e-commerce projects. We simply know how to sell online better than your competition! 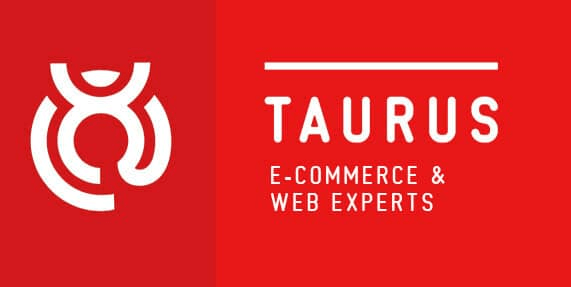 Taurus is a young and innovative e-commerce Dutch agency that is experienced in offering full-service Magento-based webshops. Taurus Media can design your store, help you to expand your business behind the borders of one country, provide advices and support based on previous experience with tens of Magento-based webshops. Taurus Media is based in the centre of the Netherlands. Apart from Magento Taurus Media offers a wide range of CMS and e-commerce websolutions. Our company is based in Lithuania, and we are working only with Magento ecommerce projects. Module development for product imports from wholesalers. Together with our team of specialized and certified Magento programmers we deliver e-commerce solutions of high quality and at fair prices. We focus on making all our customers happy, and our business philosophy is that both parties should be happy with the outcome of a business transaction - win - win. Vendic is a fullservice Magento solutions provider based in the Netherlands. We specialize in full service B2C Magento projects. Magento performance hosting, development, support and marketing. Web 2 Market provides expert Magento development, digital marketing and hosting in the US. Our team of 20 developers, network specialists and marketers will help you take your business to the next level. Web Circle is a premium Magento Development and support Agency based in Australia. Web Circle focusses on providing quality magento solutions to small and medim sized businesses, helping them leverage the power of inernet to grow their business. After succesfully developing and deploying numerous Magento e-commerce stores, Web Circle has placed itself amongst the premium Magento agencies in Australia. Webbhuset har arbetat med att utveckla skräddarsydda hemsidor, e-handelslösningar och intranät med integrering mot affärs- och IT-system sedan 1998. Vi är idag en av de mest erfarna hemside- och e-handelsleverantörerna på marknaden och vi vet vad som krävs för att lyckas på webben. WebCitz, LLC, established in 2004, is a USA-based and staffed website solution company specializing in designing, developing, maintaining and marketing complex websites. Webmazing is a digital web agency based in Leiden, the Netherlands. We build Magento 1 and Magento 2 webshops with a standard for high quality; mostly with a custom design and custom features. For example an connection (sync) with Exact Online. Besides developing we are maintaining 50+ websites and webshops to ensure our clients are safe, up to date and always can come to us for help. 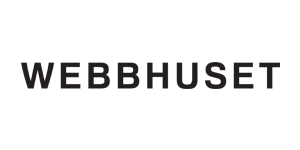 Det er vores drive og ambition at kunne levere en god løsning på enhver problemstilling, som er nødvendig for at skabe en succesfuld webshop. Vi vil udvikle de processer, der gør at vores kunder har webshops der kører lidt hurtigere end konkurrenternes. Complex Magento development is the core of our business. Choose a reliable development partner and get a problem-free, upgradable, guranteed future for your webshop projects.